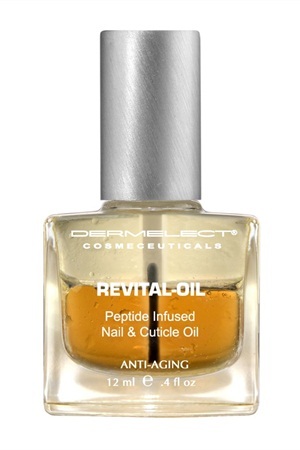 Dermelect’s new Revital-Oil Nail & Cuticle Treatment penetrates weak, brittle nails to deliver protein, moisture, and essential nutrients straight to the nail bed. This peptide-infused treatment features a unique 2-in-1 formula that leaves cuticles instantly softer, hydrated and, over time, healthier, more flexible, longer, and stronger. For more information, visit Dermelect.